The studio Lee designed is a wonderful place for making art. 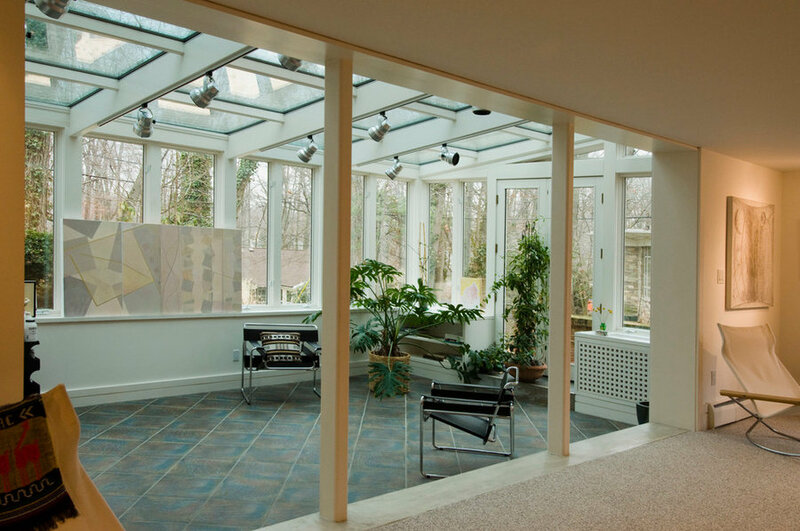 It provides a sense of quietude and drafting space that's truly functional. 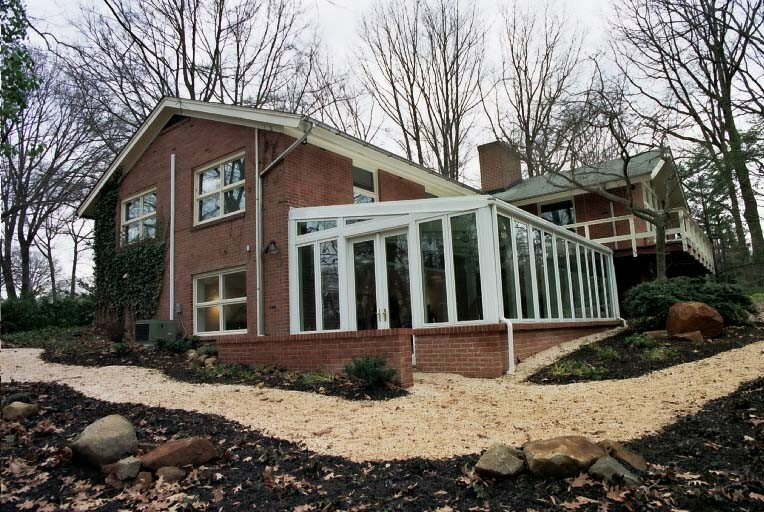 - Wes Memeger The client’s initial request was for an all glass pavilion in the back garden. Ultimately the problem with that concept—no solid walls to hang art or accommodate storage facilities—made it impractical. Reluctant at first to consider the idea of locating his studio in the basement, with its low ceilings and minimal natural light, he was won over by a plan that incorporated the basement area as workspace that opened onto a greenhouse-like addition with a much higher, vaulted ceiling. In the end, this was a more practical solution, one that provided much more space, included a generous storage area, and was significantly less expensive to build. 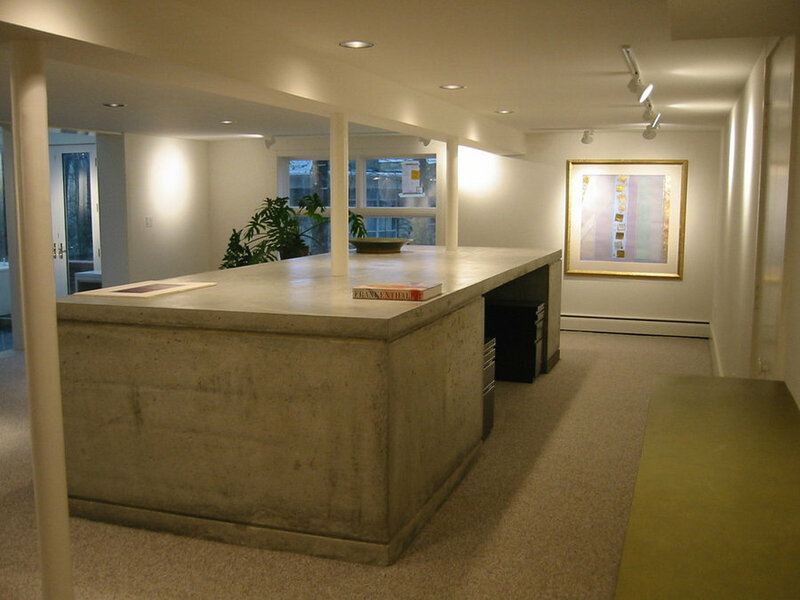 Polished concrete was used for the 12 X 5-foot, poured-in-place island because it afforded seamless, contiguous workspace.